NEW ORLEANS (July 12, 2007) – Even with in-flight meals having gone the way of the Dodo bird, The New Orleans Metropolitan Convention & Visitors Bureau (NOMCVB) has found a way to tempt the appetites of airline passengers with its unforgettable cuisine. From the beginning of July through the end of September, the NOMCVB’s new tray table ad campaign—appearing on 35 domestic U.S. Airways and America West planes nationwide—depicts life-like images of some of The Crescent City’s most savory dishes. As the first Convention & Visitors Bureau to employ tray table liners as a means of engaging travelers, the NOMCVB is partnering with Brand Connections SkyMedia, the only media company worldwide to offer this unique type of advertising. The ads, created by New Orleans-based Trumpet Advertising, urge passengers to “Reconnect with New Orleans” and feature one of three hard-to-resist images, including a tasty plate of barbecued shrimp resting atop a bed of grits, accompanied by a glass of chardonnay; fried soft shell crab garnished with vegetables, accompanied by a glass of Louisiana-brewed beer; and strawberry shortcake topped with fresh Louisiana strawberries accompanied by a rich café au lait. The liners, which are designed to make passengers feel as though they are feasting on a four-star meal, will be distributed among airline seats (2,800 flights per month) so that each passenger’s “order” will be distinct from those of their seatmates. Chef Ryan Hughes of Café Degas, a French bistro located in the Faubourg St. John neighborhood of New Orleans, prepared the food. Sara Essex, a New Orleans-based photographer who specializes in food and interior images, photographed the plates. The photo shoot required strategic graphic planning to position the plated dishes in the camera lens to optimize the dimensions and specifications of the varying tray tables, all the while optimizing the freshness of the dish from a timing standpoint. The angle of the photo shoot had to be considered as well, to maximize the visual impact on the individual airlines passenger. The airplane tray table ads are the latest installment of NOMCVB’s innovative “Forever New Orleans” branding campaign launched in January 2007 to celebrate New Orleans’ culture and dispel myths about the visitor experience. The NOMCVB is pursuing many other creative strategies to beckon travelers back to New Orleans including the launch of 24NOLA.com, an interactive Web site and itinerary planning tool for visitors who want to experience New Orleans culture as locals do; development of “A Whole New Orleans”— a 30-minute travel television show (currently in production) that showcases the eclectic nature and vibrant culture of the city; an internet marketing campaign; more aggressive direct sales efforts with international travel professionals and convention industry influencers; and a public relations tour to bring the best of New Orleans culture to major metropolitan cities and earn positive mainstream media coverage. ** Digital versions of the tray table liners are available to media upon request. The New Orleans Metropolitan Convention & Visitors Bureau (NOMCVB) (www.neworleanscvb.com) is the driving force behind New Orleans&apos; most important industry, tourism. Today the cultural riches, sensual indulgences and unparalleled service that define the New Orleans experience continue to flourish, as they have for centuries. The most celebrated and historic core of the city - including the French Quarter, Central Business District, Warehouse and Arts District, Magazine Street and Garden District - not only remains intact, both physically and spiritually, but is thriving. 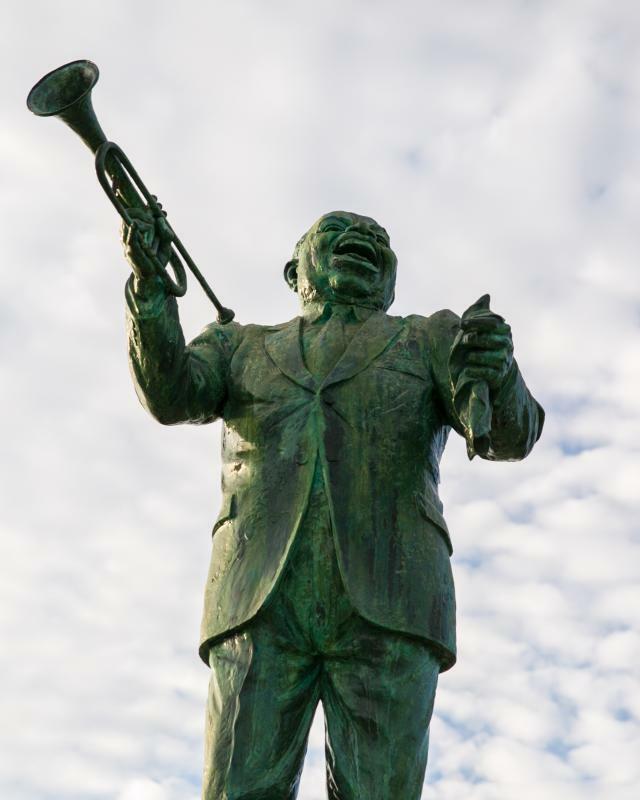 The New Orleans CVB is proudly welcoming visitors and business travelers every day.